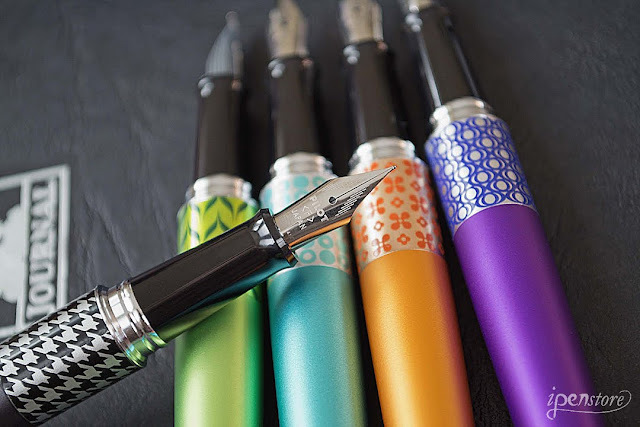 The Pilot Metropolitan Retro Pop series came out last November. 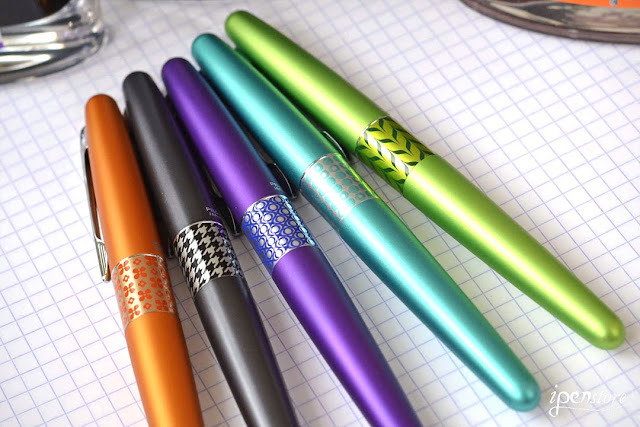 This series combines fun colors and design with good fountain pen functionality. Each pen features its own accent in the mid-section of the brass barrel. The grip section is plastic and the nib stainless steel- available in both medium and fine nibs. This pen comes with a squeeze converter and a black ink cartridge. These pens are both inexpensive and good quality. 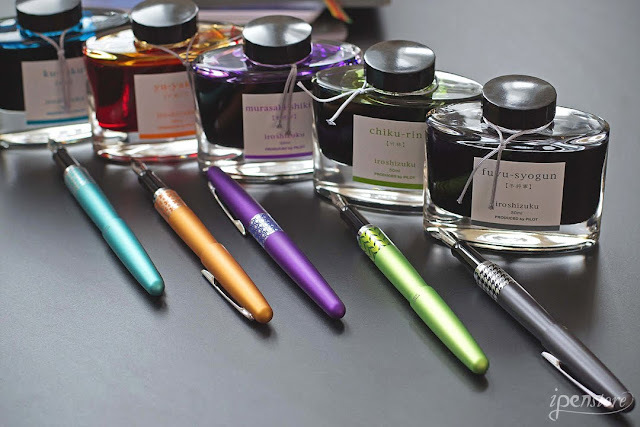 They are great for fountain pen newbies, write smoothly and don't skip. 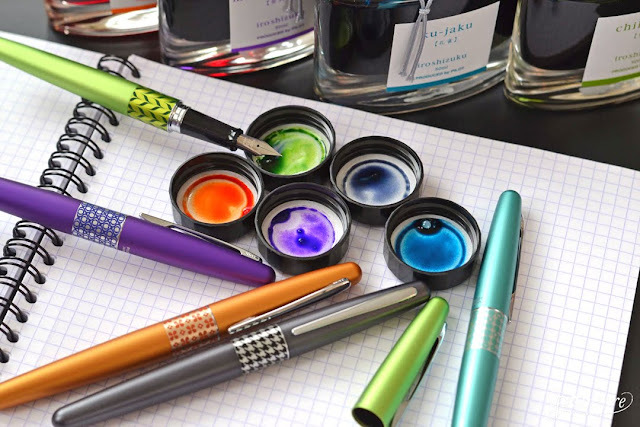 More fun than using the black ink cartridge that comes with this pen, is to refill with Pilot brand ink cartridges or Iroshizuku bottled inks! 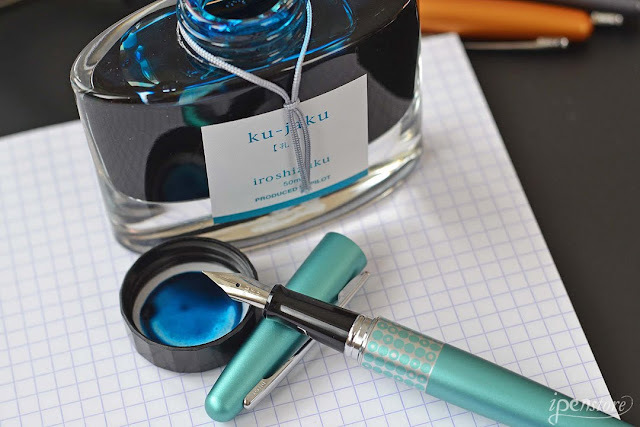 Pilot Iroshizuku is a very high quality line of ink. The name comes from two Japanese words- Iro (coloring) and Shizuku (droplet). 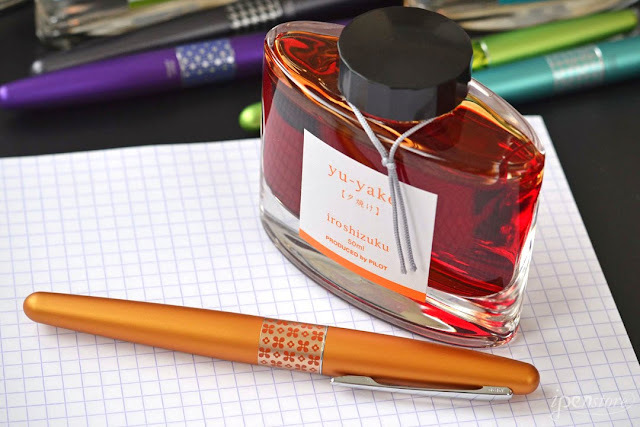 The fountain pen ink line was created to reflect the beautiful natural scenery of Japan. The colors are bold and beautiful and each glass ink container is designed with an innovative dip at the bottom to ensure you are able to use every last drop.